We'll visit the ancient city of Ayutthaya and also explore beyond. I'll take you to Ang Thong and Sing Buri, two old towns where the local ways of life remain. Let's see Thailand's largest Buddha in Ang Thong and taste the famous grilled shrimp and stroll in the old Thai-Chinese community in Sing Buri. First, we'll visit Wat Chaiwatthanaram. It's a royal temple with beautiful prang (Khmer-style tower) and many other stunning structures. Go to Wat Phra Si Sanphet. Walk the ground of the ruins of the former royal palace as well as Wihan Phra Mongkhon Bophit. Visit Wat Mahathat, home to the giant head of the Buddha covered in tree roots. Visit Wat Muang in Ang Thong. The temple is home to the largest Buddha image in Thailand and also one of the biggest in the world. 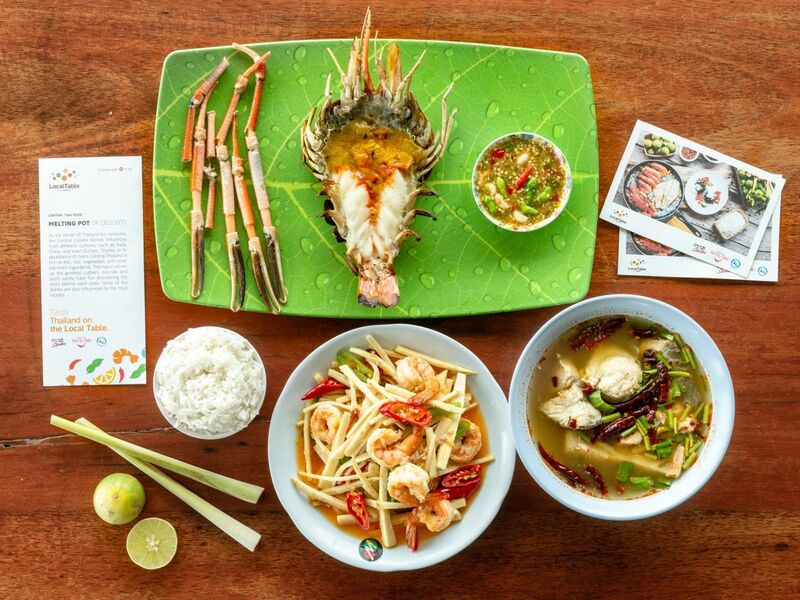 Enjoy a delicious local lunch at one of Sing Buri's signature restaurants. The restaurant is especially famous for delicious and huge grilled shrimps. Visit San Chao Rong Thong Market. San Chao Rong Thong is an old Thai-Chinese community. The first generation of the residents migrated to Wiset Chai Chan around the 19th century and started their new community along the Noi River. Arrive at your hotel in Bangkok. Do not forget to bring your hat and sunglasses because it will be so hot. 'Non' was an awesome tour guide who was patient with our age group span, helped take great pictures of the family, knowledgeable about everything we asked, generous in getting us local treats to try, and able to read the group's mood /energy levels and help us get the most out of our tour. He was also great at giving us recommendations for places to go in Bangkok that he thought we would like after getting to know us all day. Great day exploring the markets outside Bangkok. Arnon was a wonderful tour guide !!! Visited the Maeklong Railway market and two very unique floating markets. Great experience seeing real local markets in action. Was truly amazing to see the train come right through the middle of the market and the vendors pulling back and setting back up within minutes. Also enjoyed the coconut farm tour that Arnon included. Thanks for a great day !!! We were 4 friends who were going to floating market and railway market tour with Arnon. Arnon is really amazing guide and he made our experience wonderful! He told us some interesting things not only about markets and sugar making in coconut farm, but also explained us history of Thailand. He also gave us some really nice tips about best places where to eat in Chinatown as it was next thing we were doing after tour with him. All in all - this was such a nice experience and we highly recommend Arnon as one of the best guides we have ever met!